Naved Nasir is executive chef at Dishoom, a series of hit restaurants in London and Edinburgh, whose cuisine is inspired by Mumbai’s traditional Irani cafés. He tells British Airways first rate inflight magazine, The Club about his favourite foodie spots in the vibrant city where he learned his craft. The Club Magazine kindly shares its articles with responsible blogs. 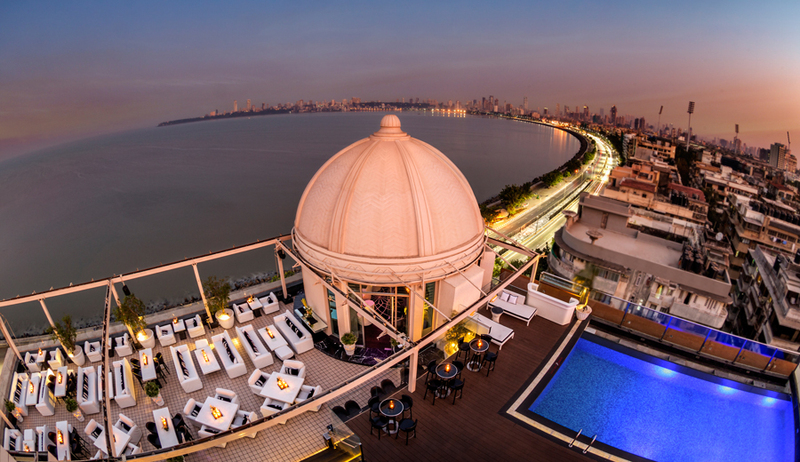 Dome, at the Intercontinental Hotel, has a lovely open-air terrace on the eighth floor. From there (above) you can see most of the ‘Queen’s Necklace’ – the stretch from Nariman Point all along the curve of Chowpatty Beach. In the evening when the lights come on it looks like a sparkling necklace, hence the name. Kyani & Co opened in around 1904 and is one of the oldest Parsi cafés in Mumbai. More and more locals are returning to these cafés of late – not that many remain, and it’s heartening to see them having a revival. It’s in a beautiful crumbling building with high ceilings and marble tabletops. Order the akuri (spiced scrambled eggs). 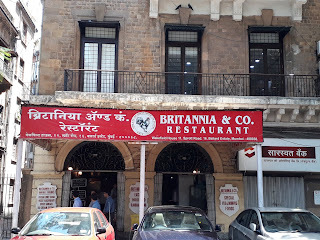 Britannia & Company (left) is a popular old Irani café with a real faded glory to it. 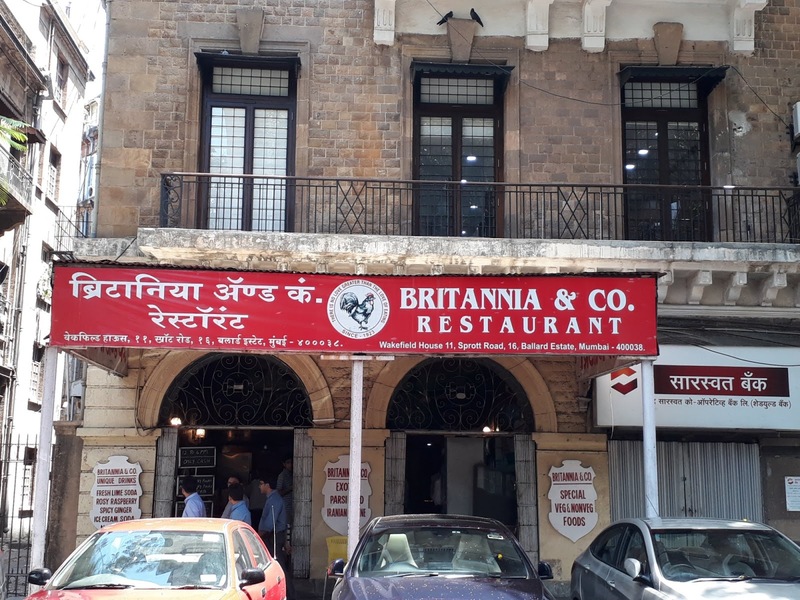 No visit is complete without trying the salli boti (tiny chunks of lamb in a tomato sauce, sharpened and sweetened with vinegar and jaggery), or the Britannia berry pulao (a chicken-rice dish containing Iranian saffron and barberries). Owner Mr Kohinoor is around 95 and amazingly – you’ll find him taking orders and chatting to customers. 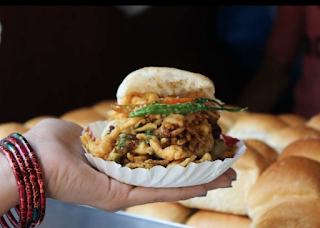 In Mumbai you can get a vada pav (a deep-fried-potato sandwich) every hundred metres or so, but the best are at Ashok Vada Pav, near Kirti College in Dadar. 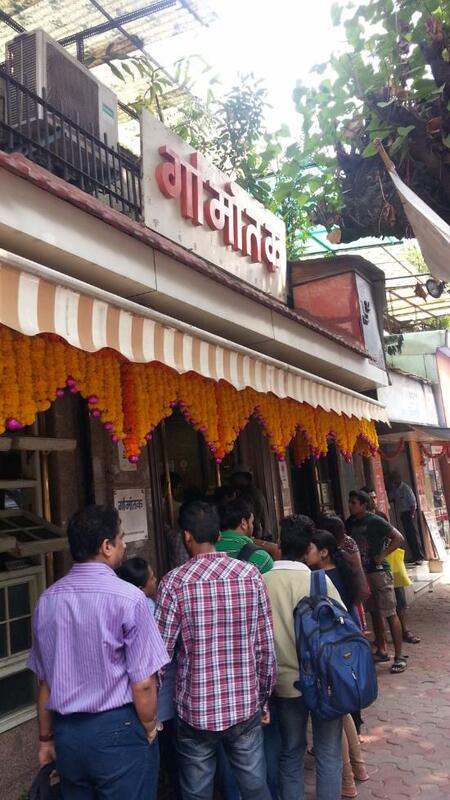 It’s probably the only place in Mumbai where you have to queue for one – Bollywood stars send their drivers to do just that. The secret is the chutneys – a spicy green one with chilli and lashings of fresh coriander, and a sweeter one made from tamarind and jaggery – a mind-blowing combination. 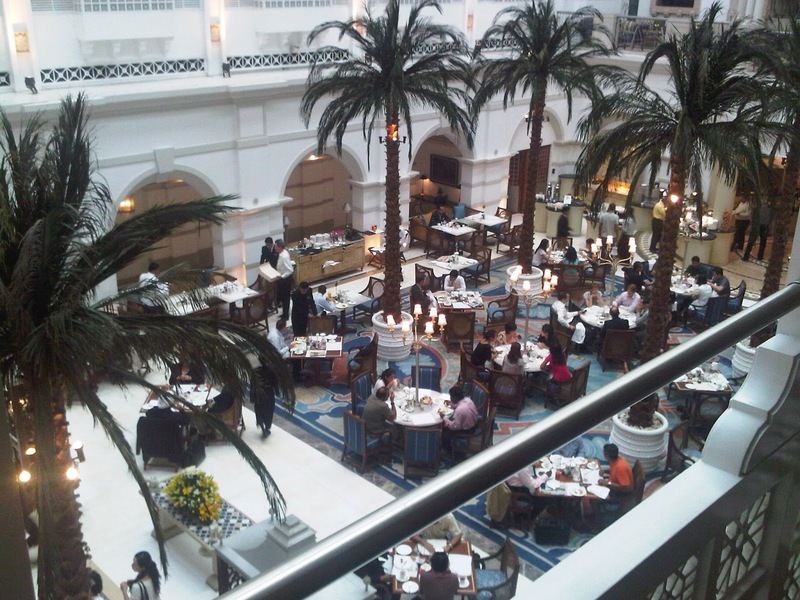 Peshawri, inside the ITC Maratha hotel (above), serves northwest frontier cuisine. You eat with your hands and the focus is on basic but delicious Indian food. It has a village-like feel with wooden tables and stools made of tree trunks. The food is to die for, most of it grilled right in front of you while the chefs throw romali bread high into the air. 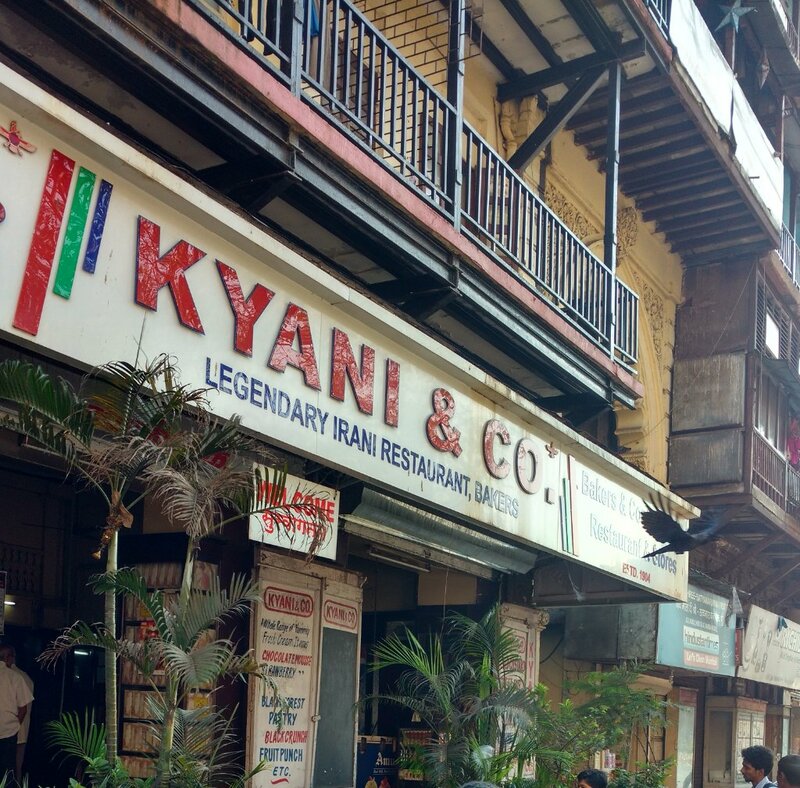 Try the Sikandari raan (leg of lamb) or the naan bukhara, which is vast and feeds eight. Peshawri has a special place in my heart because a lot of inspiration for the Dishoom menus comes from the eight years I spent working for ITC, learning my trade as a chef. 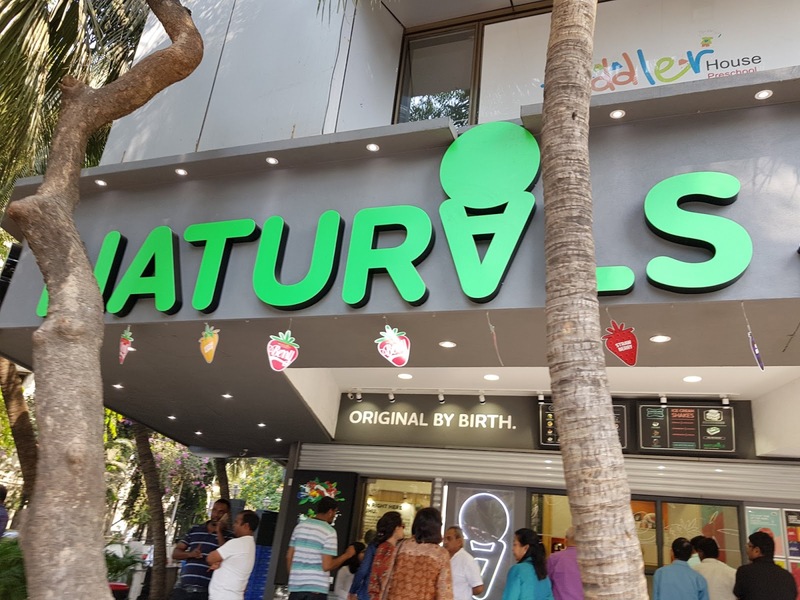 Ask anyone, from granddads to grandchildren, where Mumbai’s best ice cream is and they’ll all say Natural’s. It has a few shops here but my favourite is on Marine Drive. Fresh, seasonal flavours abound: I love a scoop of the coconut cream – studded with chunks of fresh coconut – or the custard apple flavour. It’s a grab-and-go place, rather than a sit down-and-relax affair. 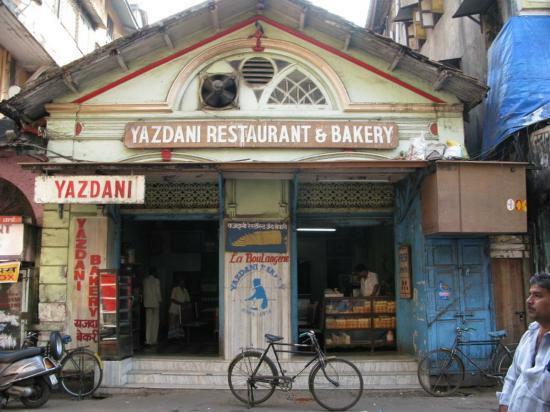 Follow the lead of in-the-know local labourers on their breaks and visit Yazdani Bakery at midday. Why? It’s when the bun maska (soft bread, a little bit like a brioche) comes out of the oven. Yazdani’s are crusty on the outside, soft in the middle, and heavenly when dunked into sweet, hot chai. 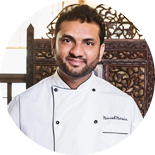 Naved Nasir is executive chef at Dishoom. For every meal served at its cafés in London and Edinburgh, Dishoom donates another to a child who would otherwise go hungry through Magic Breakfast and The Akshaya Patra Foundation. 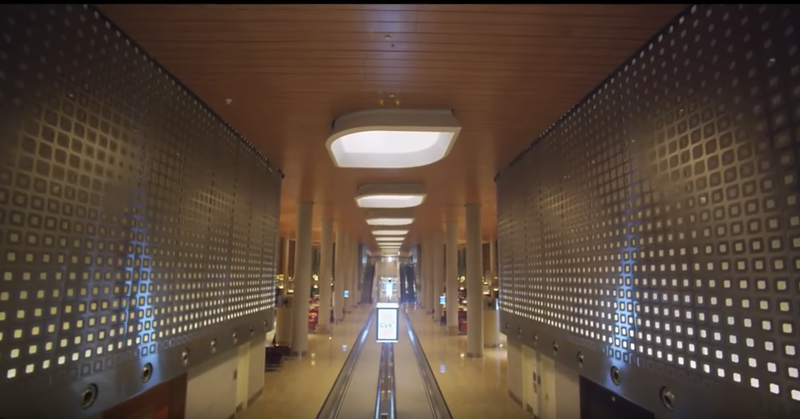 NOTE: British Airways has direct daily flights from London Heathrow to Mumbai's brilliant new international airport.